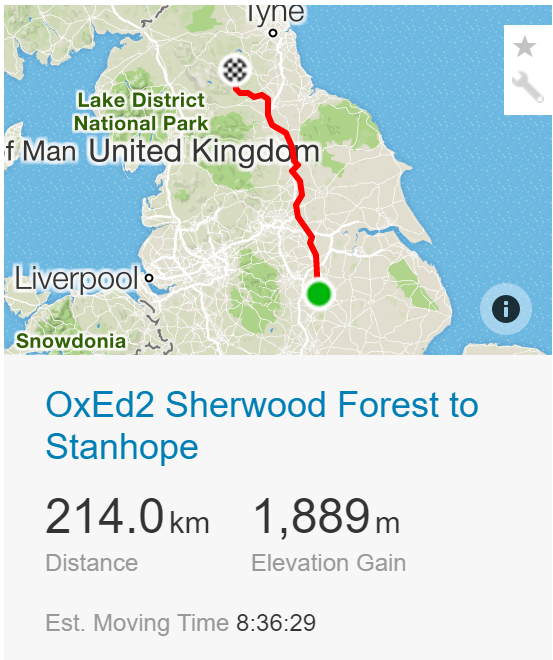 So the 2016 charity cycling challenge is Oxford to Edinburgh – 400 miles over 3 days! 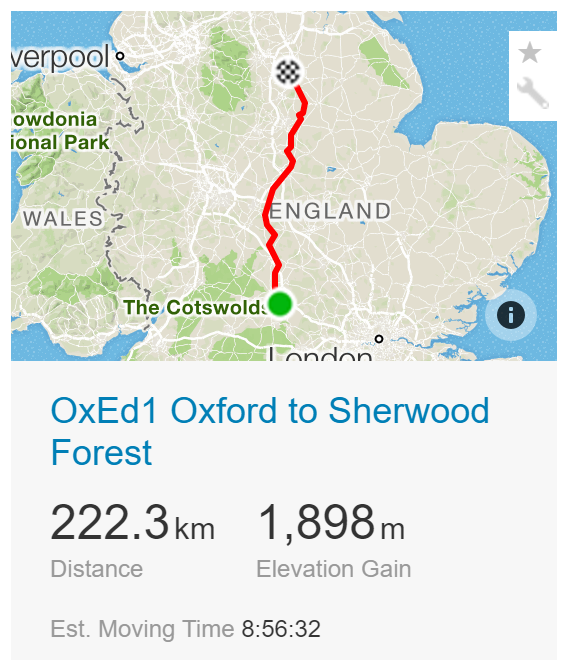 Originally we (Anthony and I) were going to attempt to do it over 2 but we looked at the route and decided that was too crazy – doing it over 3 days will still be very hard – day 3 will be particularly hilly. We are raising money for the Royal Marsden Cancer Charity (who we fundraised for in 2014 when we did Lands End to John O’Groats) – who are particularly close to my heart at the moment as my dad recently had an operation there to remove a rare GIST tumour. 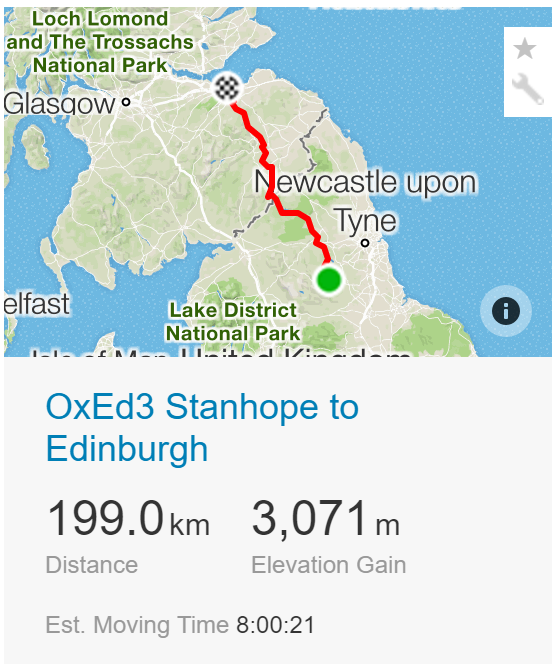 Day 3 is Stanhope to Edinburgh! So I thought I’d put up some more information about the charity cycling expedition I am taking on with Andy, Anthony and Nick from the 10th May. 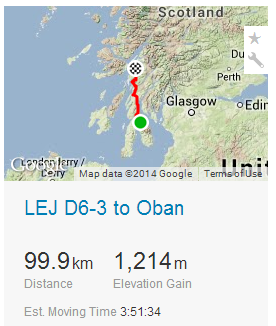 We are doing it over 8 days so about 115 miles a day with some serious climbing. Even with the training we are doing its going to be painful! 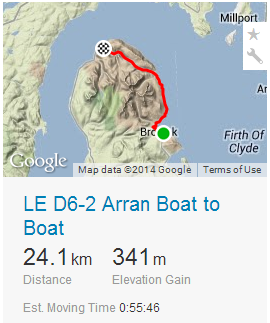 We are doing it unsupported – carrying minimal baggage and staying in basic B&B and Youth Hostel accommodation. Quick link to our charity fund raising page is here. 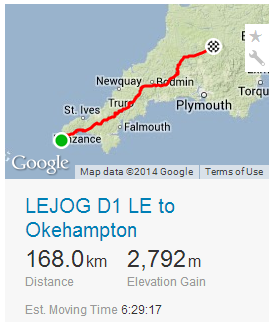 So here is the route we are planning to take each day along with the elevation profiles! Yes we are crazy! 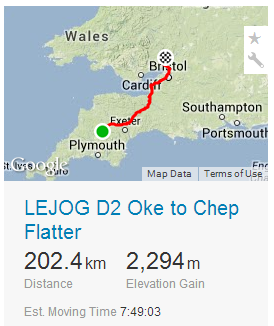 Note that Day 2/3 has changed slightly – will update the maps below when I get a moment. Route is still the same just shorter day 2 longer day 3. 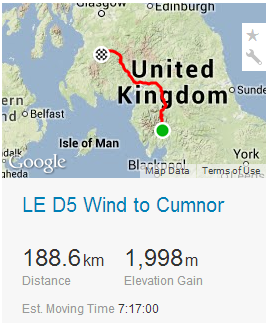 The first day from #LE is the shortest at just over 104 miles but the most hilly (9,160 ft). 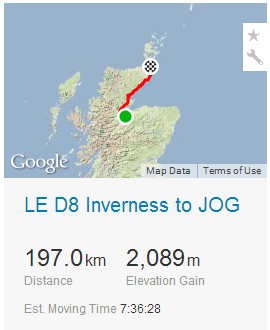 Further in distance (126 miles) but still a lot of climbing (7,526 ft) and a big chunk of it to get to the B&B (a Castle). Day 4: To the Lakes! Looks quite punchy! 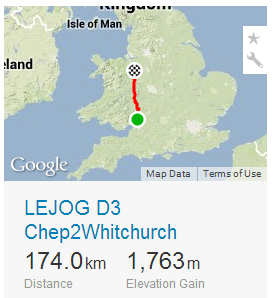 5820 ft of climbing over 113 miles. Quite a big day in the saddle – 190KM – 118 miles and over 2,500m (8200 ft) of climbing, suspect we’ll be needing our lights towards the end of this one! 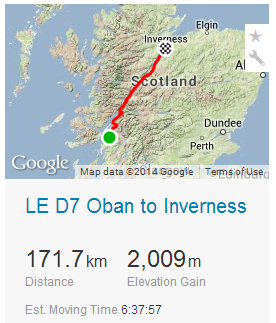 Day 7 – Oban to Inverness Most of the climbing (6591 ft) is near the end of day 7!! 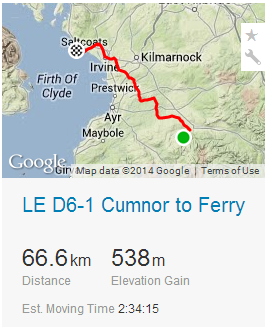 !106 miles for day 7. 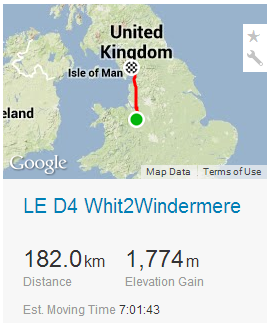 Total distance = 1,474 KM or 916 miles! If you can please do support our charities – we are riding for St Mungos Broadway (a homeless charity) and Royal Marsden Cancer (who provide world-class care for cancer patients, and undertake pioneering work in cancer research and education). You can make a donation via our fund raising page here. All donations help motivate us to go through the pain of training and it will be good to know we have your support when we are on the road doing it!